Sign up for Soundtrack via reseller partner in Australia & New Zealand, Marketing Melodies. Full control over the music in your business. 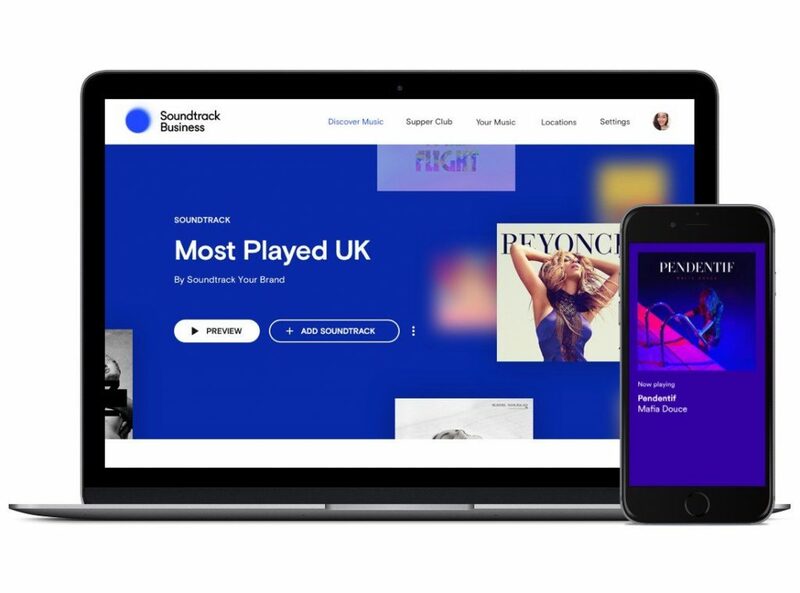 Soundtrack is a business music-streaming company which provides a platform licensed for commercial and public spaces. 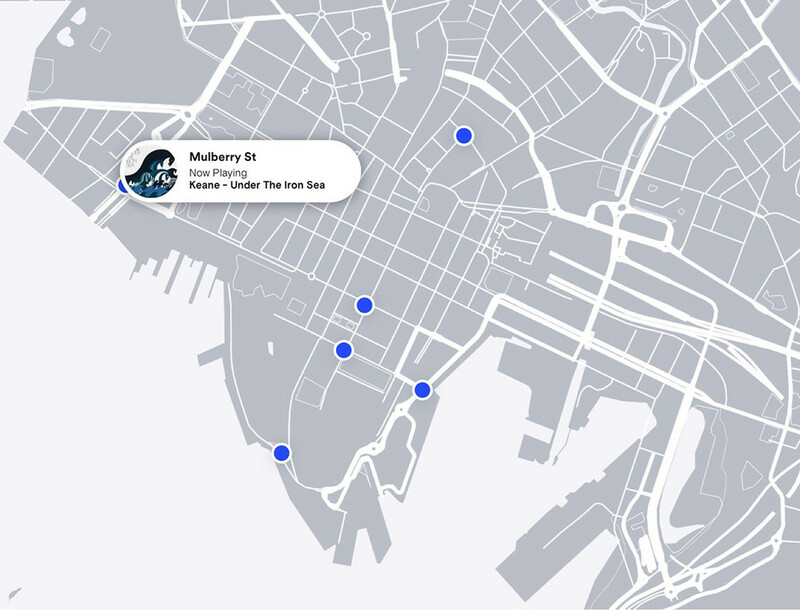 The product comes with tools to steer all of your locations from one place and schedule your music ahead of time based on the needs of your business. Use your own Spotify playlists. Expand the music library with your own playlists. 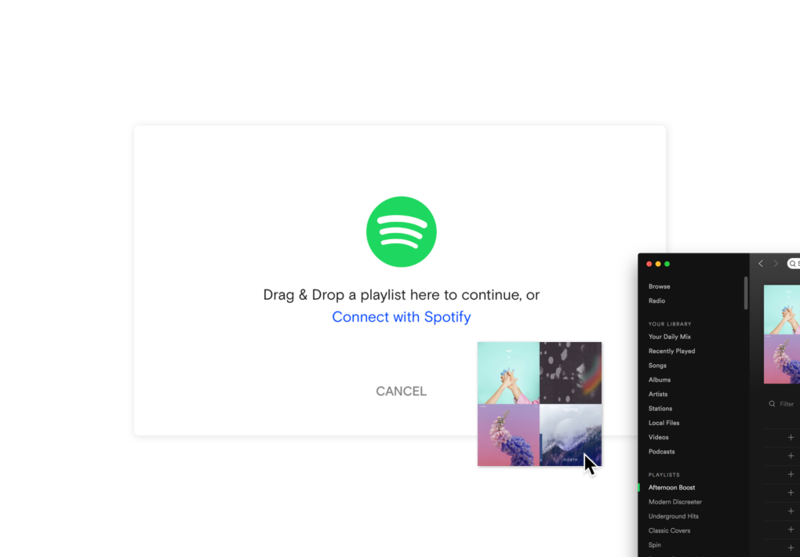 With our new, simple drag-and-drop feature, you can now import playlists directly from Spotify. Our import tool will help you extend your playlist if it’s too short, and you can both add and remove songs after the playlist is imported. 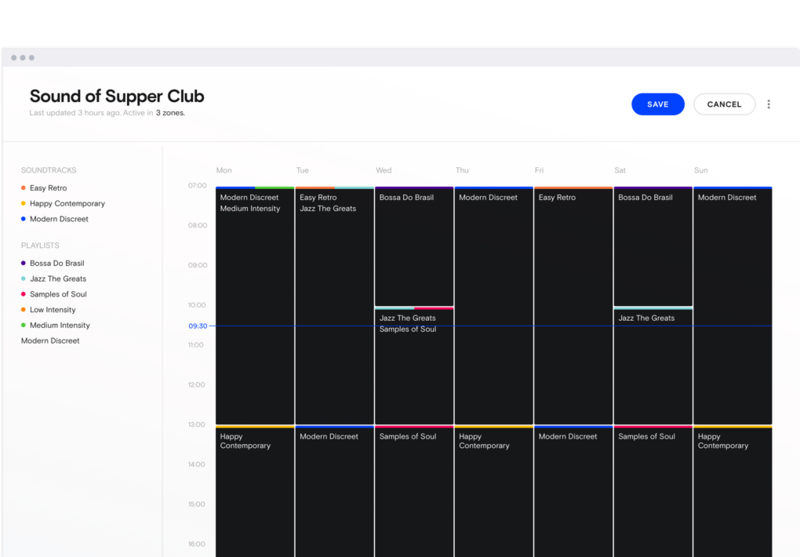 The new scheduling feature lets you tailor the music to fit your business perfectly. By working with playlists with different energy levels or emotions, you can adapt the music throughout the day to meet your changing needs. As an example, some businesses play upbeat music to the staff before the opening to get them in the right frame of mind. Find music that fits your business. 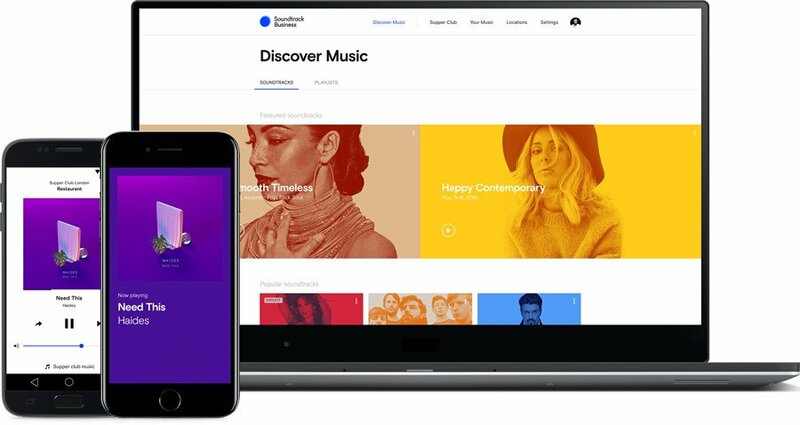 Finding the right music for your business isn’t easy — that’s why we built the Music Finder, a tool that helps you find the right soundtrack among our huge selection of songs. Soundtracks are scheduled week-long playlists, crafted by music professionals. Soundtracks go beyond traditional genres and are always kept fresh. Find your favorite and press play. Just press play and the music will play forever. Music hand picked special for business. New music will be added constantly. Music enough for a full week. 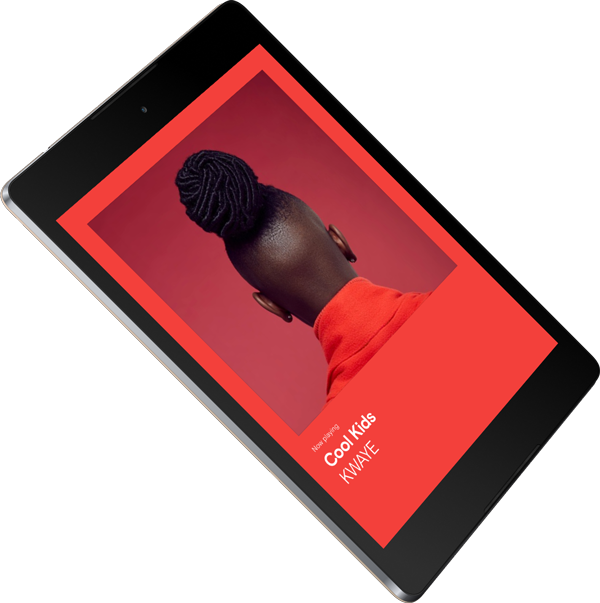 Play from your existing device. You can run Soundtrack on devices you already have, so there’s no need to worry about investing in new hardware. We make it simple to play your soundtrack across many locations. Around the city or around the world. 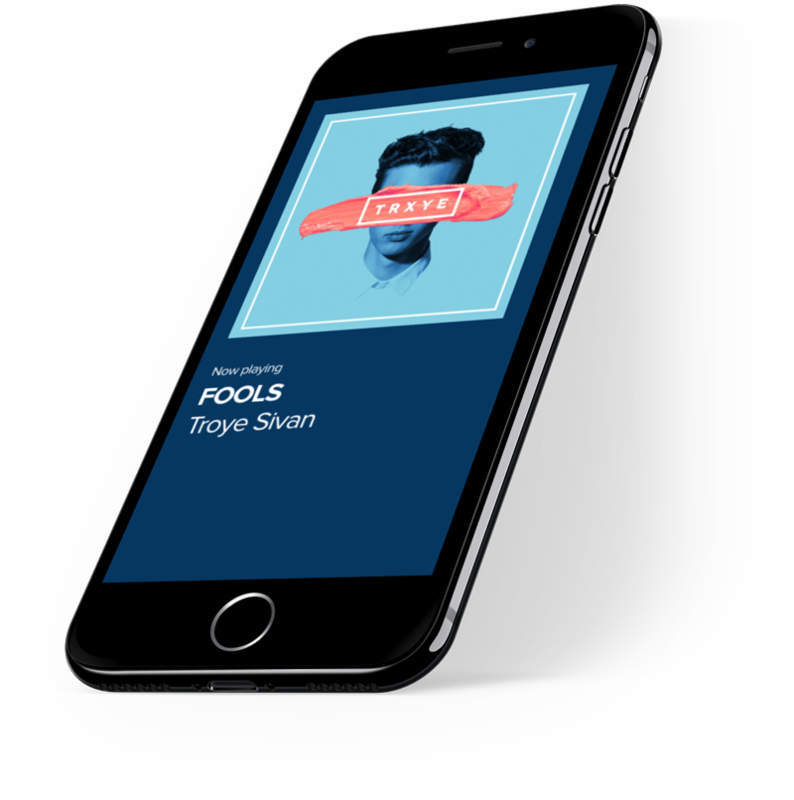 You can make changes to a single location or instantly update the music in all your stores. Everything from a single dashboard. Don’t like profanity? Block songs with explicit lyrics. Need more variety? Prevent frequent repeats. The settings menu will help you get the sound just right. You’ll also find several other useful features like volume normalization and zone-specific stereo/mono. Avoid gaps in your music and create smooth transitions with crossfade. 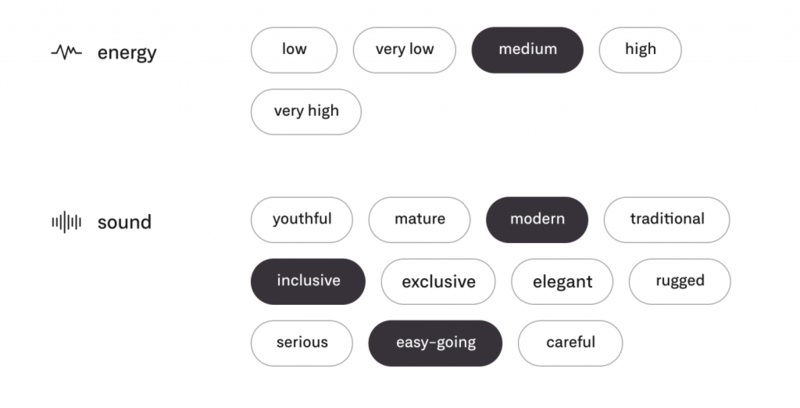 Block songs with explicit lyrics with the click of a button. Play one of our Soundtracks and your staff won’t hear the same song twice during the day. Your phone as a remote. No matter how carefully you schedule your work week, reality doesn’t always stick to the plan. 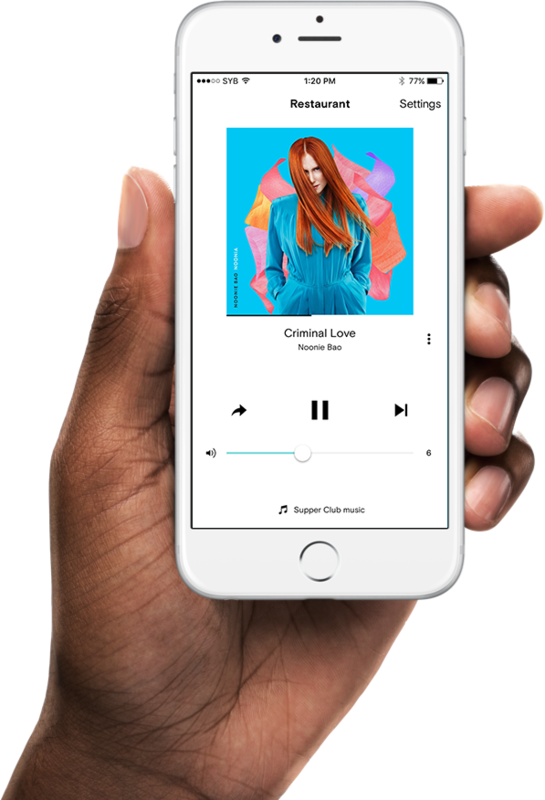 With the iOS remote, your staff can fine-tune the volume or skip songs to adjust to changing conditions. Sign up for Soundtrack’s reseller partner in Australia & New Zealand, Marketing Melodies. And more features and music is released every month. Now Playing-screen and much, much more. Do I need to continue to pay PPCA and APRA fees? Yes. Composers and musicians get paid for the music you play in your place of business through their collecting societies. You need to pay the fees when you play music in your business, no matter if you play music from a radio, a CD player, or an online streaming service like ours.